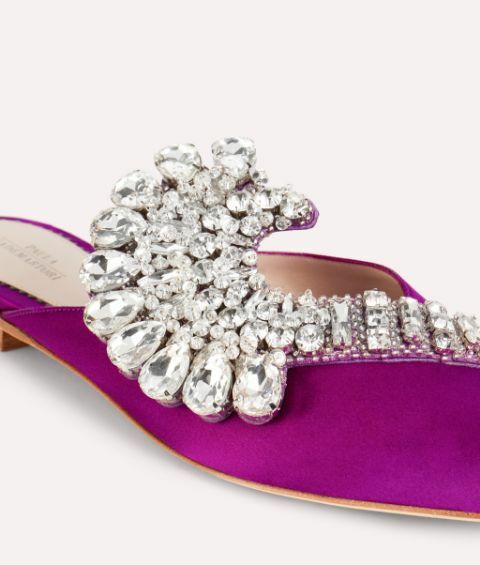 Detailed with crystal petal appliqués, the elegant Flower Opulence is the perfect flat for day or night. 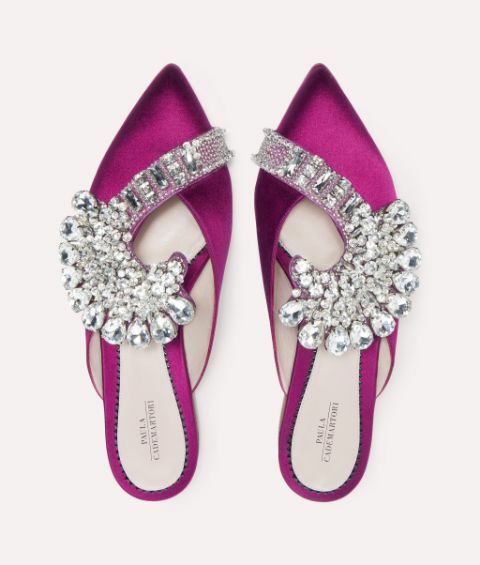 Set against deep burgundy satin, the jewel decoration lends a delicate finish to the relaxed slipper style. 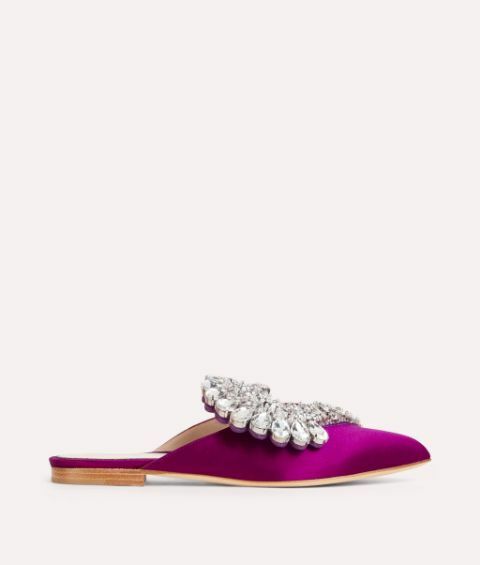 Crafted in Italy with meticulous attention to detail, the pointed toe and sculpted cut out vamp captures the sensual yet playful spirit of the Paula Cademartori woman.